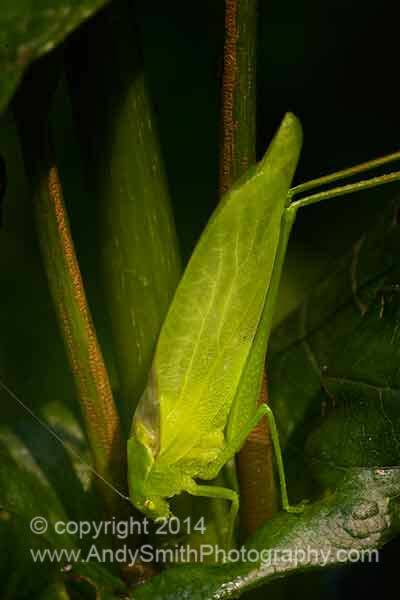 Greater Anglewing Katydids, Microcentrum rhombifolium are found in the southwestern and eastern United States, except for most of New England. They are found in forests, in shade trees, in shrubbery, and along fencerows. This one is drinking water in Jenkins Arboretum, Devon, Pennsylvania.